Been having a read through the forum as research for adding a stepper motor to my Warco super mini lathe autofeed. It looks like the kit Myfordby uses in his youtube video is favourite at the moment. I've designed and made a bracket to replace the gears at the end of the lathe using a Nema 23 stepper motor and I was wondering if anyone has a suggestion as to the power needed for the stepper, is 3Nm OK or too much. I've fettled the leadscrew mounts and it turns freely by hand with no load but not sure what sort of torque will be required when cutting. Feed rate for surface cutting is one thing, but advancing 2.5mm per spindle revolution may need rather more power, I would guess? Not thought whether 3Nm is enough or too much. The Z feed for my Super7 CNC conversion uses a type AC5707645251 size 23 stepper motor that came from Arc Euro Trade (I think they no longer stock these). Googling it says that it's rated torque is 180Ncm - what a ragbag of units! But that's 1.8 Nm. There's a 2:1 toothed belt reduction between motor and leadscrew. I have never had a problem with inadequate torque either surfacing or screwcutting. The leadscrew pitch is 1/8" so slightly larger than yours. I can't see why more torque would be a problem? The driver is the ubiquitous 2m541 type, also from Arc, supply ~40V and probably running peak current of 2.5A or so. Went for one of these in the end **LINK** with a DM542T controller and 24V power supply direct from stepperonline delivered from the UK. Quite reasonably priced and delivered in a few days. Got it all on the bench working with an Arduino using Accelstepper library. Got to get some sort of user interface together then attach it to the lathe. Most of the hobby people just go on the basis of what others have found to work. The reason being that it's not easy to measure or estimate the required torque and speed extremes. And even then, to describe a stepper as "1.8Nm" is often unhelpful. I doubt if many of them could actually muster that level of torque to begin with - and it falls off very rapidly with speed. You'll notice that the Chinese outfit you used also sell clones of the Leadshine "integrated easy servo" stepper motors. These combine the stepper driver module into the motor, along with an encoder on the motor shaft. This requires a lot less messing about to connect up the driver (just provide the step/dir signals and DC power) and being closed loop, it won't suffer from lost steps and can recover from a temporary overload. That's many of the advantages of a true servo with the cost of a stepper - and no external amp / driver, cleaner wiring etc. That additional level of control robustness means you don't need such a large margin of safety on the torque to guard against loss of position. Incidentally, as the torque from a stepper motor drops off roughly proportional to speed, there is usually no advantage in creating a step-down reduction by using gears or pulleys. 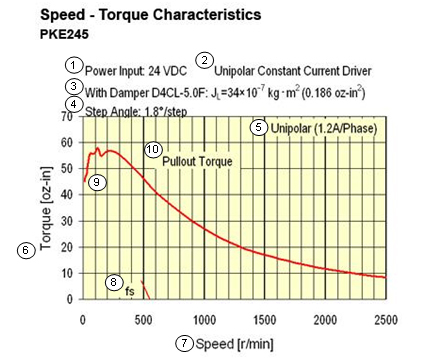 The effect of such a reduction is to make the motor run at twice the speed - and about half the torque. The net result is simply a reduction in the maximum speed of the output shaft, which is a problem for stepper motors to begin with. You are generally better off driving the leadscrews directly with steppers. I use small Leadshine hybrids on my lathe. I do have a timing belt drive though because I spin the nut to push and pull the lead screw attached to the saddle. The driven pulley is threaded onto a bush that fits into a pair of flanged bearings and allows backlash elimination by squeezing down on the two bearings that sandwich a fixed plate between them. The reason for this system is that it allows modification with minimal change on the lathe so it can be reverted to manual if required. The downside is that you need to allow for a leadscrew sticking out of the tailstock end. If you are not after rapid motions a large motor is overkill. Hobby use is not usually looking to shave seconds off a job. I love this forum! Thanks to Murray, I realised my understanding of steppers was adrift re their relationship to gearing and did some emergency googling. I found this graph with description here which is illustrative as an example. I don't think that graph applies to hybrid stepper systems. They are supposed to have superior dynamic torque compared to standard stepper motors. This is how I have my lathe set up for the Z axis drive. The leadscrew is 16mm if you are wondering about sizes. The leadscrew connects to a plain rod to push/pull the carriage. This type of setup also allows for testing the drive torque with minimal changes to the lathe if you are experimenting with different systems. Getting to grips with the Arduino controlling the stepper motor, waiting for some parts to mount it on the lathe but in the meantime I designed and 3D printed an end cover with cable management to fit with the flexible plastic tubing I have for protecting the cables. If anyone is interested I can post the STL file on Thingiverse.